As the temperature drops and tree leaves start to change colors, we take out sweaters and warm blankets. 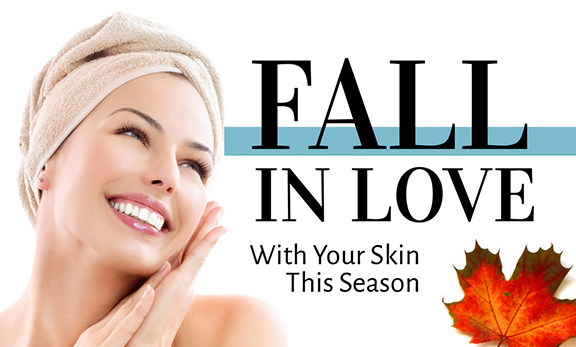 It is also time to adjust our skin care routine for Fall. Is your skincare routine ready? For cold and drier weather, use non-abrasive cleanser developed to remove makeup, oil, dirt and impurities while leaving your skin soft, moisturized, and revitalized. Our Collagen Facial Cleanser is so good for the skin that it actually helps to renew its cells and improve the quality of your skin, maintaining a youthful look. Continue to use the toner and Collagen Rice regularly to exfoliate outer layer of dead skin cells and help actives in your favorite serums to penetrate better into the skin. The skin may be drier and sensitive due to the transition in temperature, so exfoliate less often to prevent irritation. Serum moisturizer may be enough to keep you hydrated during the Summer, but for cooler and drier months, add or change to cream moisturizer such as Solidifirm Anti aging Skin Firming Cream. It contains the latest ingredients and technologies to combat fine lines and wrinkles in a light, silky smooth cream application that absorbs quickly and immediately begins to work to repair skin cells and improve elasticity without clogging pores. To repair sun damage from the Summer, start Retinol 1.0 or Rescue Line Spot Treatment. Also, incorporate Facial Oil in high vitamin and mineral content into your skincare routine to calm, nourish and protect the skin. And don’t forget to apply sunscreen during the day in Fall. Cellbone Sun Protection SPF 45 Moisturizing Treatment Sunscreen cream provides superior UVA/UVB protection all year round and preventing premature skin aging.